It’s nice to know there are still surprises out there. Most companies that hold Batman ’66 licenses have pretty much exhausted their options but Diamond Select is swinging in with some unexpected heroics as the TV show celebrates its 50th anniversary. This. I need this. You need this. And here’s the thing: It’s a bank. That’s right. Lift the head and there’s a slot for your personal Wayne fortune. Slot’s in the shadow, above the white button. Even though it looks as if it were cast in bronze, ol’ William Shakespeare is made of a heavy, durable plastic. And it’s big, like 1 1/2 to 2 feet tall. 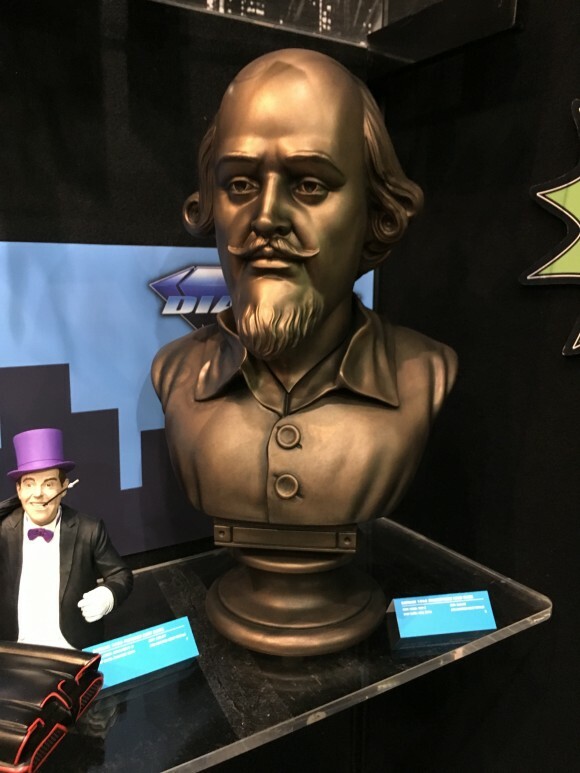 This is, I do believe, the first officially licensed Batman ’66 Shakespeare bust. It’s due out later this year and will list for $65. From what I saw of it at Toy Fair, it looks like it’s worth every penny you’ll drop into it. 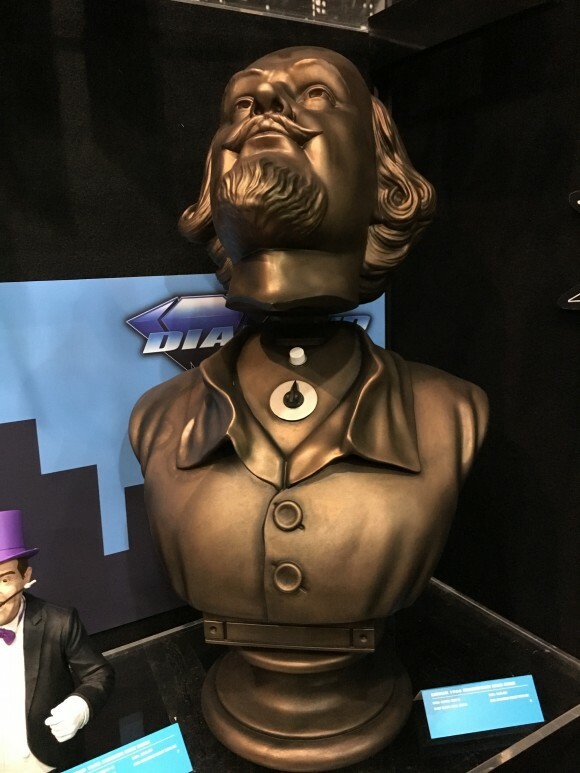 NOTE: Hey, while you’re here, check out our recent series of stories on Diamond’s Batman ’66 busts and statues. And for more TOY FAIR 2016 coverage, click here. WORTH every PENNY. I see what you did there. I’m so glad somebody did!